It has not been the best few months for Yani Tseng, the world’s number one woman golfer, but she at last returned to form in East Asia at the LPGA HanaBank Korean Championship . OK, she didn’t win but she finished just one shot behind Suzann Pettersen, the one who collected the $270,000 cheque. What has happened to the Taiwanese star in the last few months has been one of the biggest talking points in golf. The five-time major winner was doing so well in the first part of the year as she dominated the early part of the season. After three wins in the first six events (she played pretty well in the other three too), it all came to a juddering halt in April. Since then, she has been in what can only be described as a slump. Going into the Korean event, Yani had not finished in the top ten of a tournament for five months and her average round was 74.3. Nobody knows why. Perhaps it just happens and despite her huge success, she is only 23. Tiger Woods told her that she would bounce back, but it can be tough. When you are in a slump then you start trying to find a way out. As sometimes happens, she changed caddies. It didn’t bring the change of fortune. When she tried to rehire her original guy, he had already been snapped up by rival Choi Na Yeon. ''Last three months, I have been learning a lot from everything,'' Tseng said. ''It's kind of very tough because when you play best and you kind of struggle for three, four months, it's very difficult. The Korean tournament came at the right time. She was defending champion and the conditions on the opening day were nothing short of perfect. Her first round score was a very welcome 67 that left her 5-under. She was solid in the subsequent two rounds carding 70 and 69. Despite the close finish, she was never really in the race to win but after the six months she has had, it was a very welcome third. 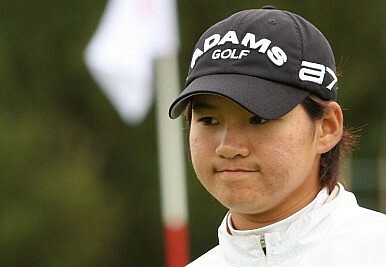 Perhaps Yani Tseng is back and the world of women’s golf needs to watch out.